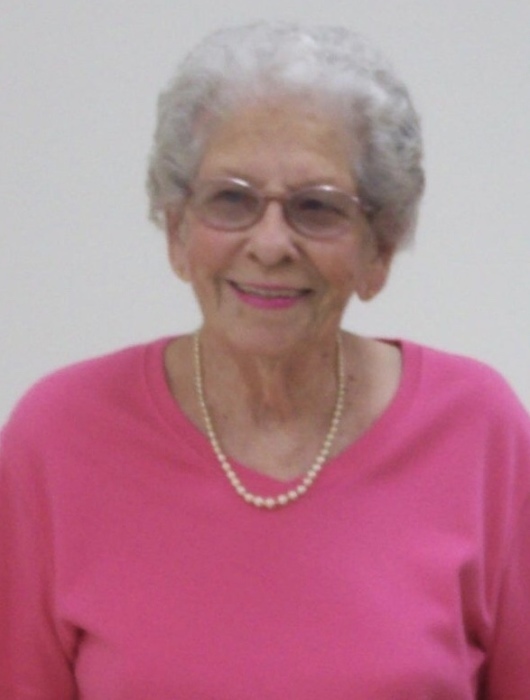 Mary "Frances" McAllister Kiser Singleton, 94, of Lincolnton passed away January 11, 2019 at the Brian Center in Lincolnton. She was born on May 16, 1924 in Gaston County to the late John and Emma Whitner McAllister. She is also preceded in death by her husbands, Ralph Kiser and John Singleton; brother, Dennis Grier McAllister; and sister, Elizabeth McAllister Stowe. Frances was a longtime member of Bethel Lutheran Church in Lincolnton. She enjoyed sewing in her spare time, the beach and the mountains, and loved animals. Frances is survived by nieces, Emily Crisp and husband Olin, Sharon Davis and husband Gary "Bo", and Franda Aud and husband Woody; nephew, Larry McAllister and wife Donna; her best friend and sister in law, Frances "Boots" McAllister; and several great nieces and nephews. A funeral service to celebrate Frances' life will be held Wednesday, January 16, 2019 at 1:00 p.m. at Bethel Lutheran Church, 509 Long Shoals Rd., Lincolnton with Rev. Steven King officiating. Visitation will be held prior to the service from 11:00 a.m. - 12:45 p.m. Interment will follow in the church cemetery. In lieu of flowers memorials may be made to Bethel Lutheran Church, 509 Long Shoals Road, Lincolnton, NC 28092.